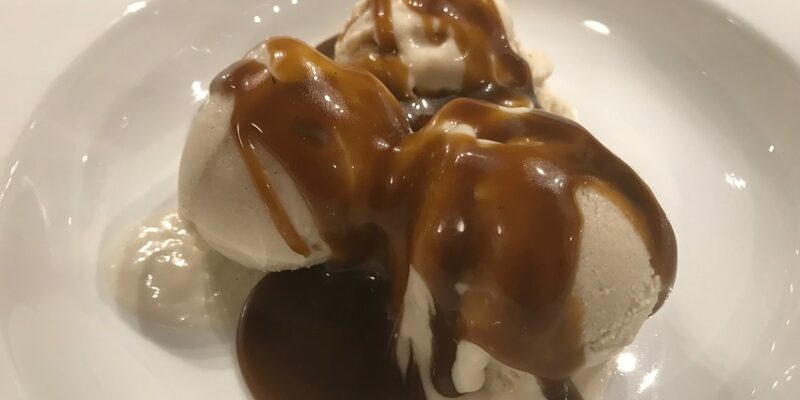 Who doesn’t love caramel sauce? But it’s typically made with so much refined white or brown sugar, not to mention heavy cream and/or butter. Nothing allergy-free or free food about that! 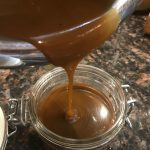 What Makes a Guilt-Free Paleo Caramel Sauce? We make this sauce with coconut palm sugar, which has a GI (glycemic index) of about 35. If you’re unfamiliar with the GI, that’s 35 out of 100. White sugar has a GI of around 77. Anything under 55 is considered to be on the lower GI end, meaning, those foods are more slowly digested. So at 35, we are doing really well – especially for a sweetener. The glycemic index measures how carbohydrate in foods affect blood glucose levels. The more slowly foods are digested, the lower the GI, the slower the rise in blood glucose, and insulin levels. Picking a sweetener with a low GI makes our caramel sauce guilt-free. Total bonus – palm sugar naturally has a caramel flavor. I let my caramel sauce cool and store it in a glass jar with an airtight lid in the fridge. The base of this caramel sauce is coconut milk. Full fat coconut milk makes a thicker caramel and low fat makes a delicious thinner sauce. Use whichever you prefer. If you are concerned about the amount of saturated fat in full fat coconut milk, by all means, use low fat. But use canned coconut milk. I don’t like coconut milk out of a box for this job. It has additives that IMO interfere with the reduction and flavor. Remember, coconut has protein, anti-microbial properties, and while it is a saturated fat, it’s a short chain fatty acid, like ghee. This means that the body burns it much more quickly than long chain fatty acids found in all other saturated fats. This is why bacon fat and coconut fat are not the same! And, this helps make our caramel sauce guilt-free. But, and yes, there is always a but, it still is saturated fat, and a little goes a long way. So, while it is crazy delicious, yo!, don’t eat the whole tub in a sitting. 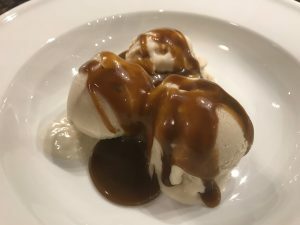 Why Sea Salt and Lemon Juice in Caramel Sauce? 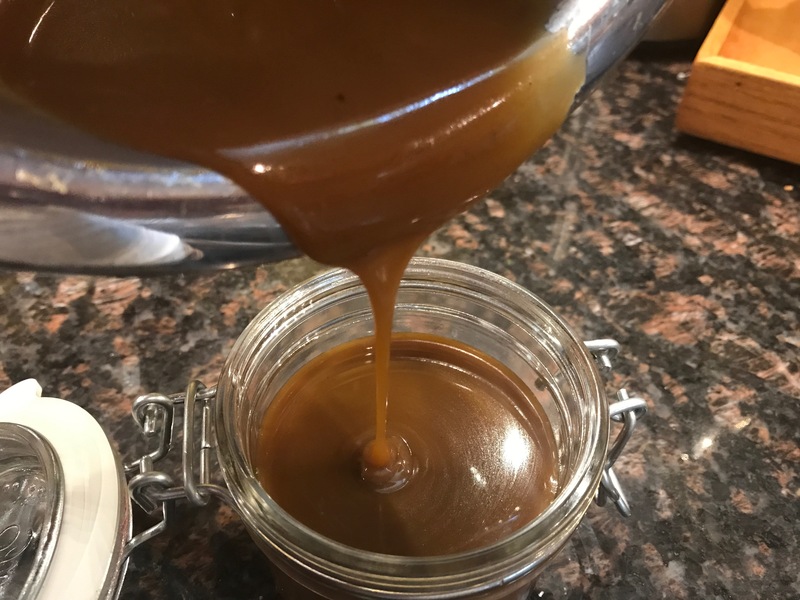 Salt will help balance the sweetness of the caramel and give the sauce depth so the flavor isn’t one note. I provide a range because you can add to your taste. Sea salt has much more nutritive value than plain old table salt because it contains its natural minerals. I use it in almost all of my cooking and baking. There are numerous varieties, all of which have their own flavor, and I find it fun to experiment with them. Flavor and added minerals and nutrients…how can we go wrong? Like sea salt, a little lemon juice balances the sweetness of the sauce as well. I learned this trick from the great Chef Anne Burrell. She makes her caramel sauce with some lemon juice. Granted she uses white sugar, water, butter, and heavy cream, all of which we replace here. Yay! But, I totally borrowed her idea of using lemon juice to balance the sweetness using our guilt-free ingredients. This sauce takes some time to simmer and reduce down to 1 cup so it’s nice and thick. It’s not much work, but I know, sometimes, the waiting is the hardest part. It’s so worth it though! Don’t stop at Caramel. This sauce pairs great with Killer Dairy-free Fudge Sauce! Try it on top of Molten Chocolate Gluten-free Vegan Cakes. Yum! In a medium sized sauce pan over medium high heat bring the coconut milk, lemon juice, and palm sugar (and liquid sweetener if using) to a boil. Once boiling reduce the heat medium low and let the mixture simmer. Stir often and continue to simmer for about 30 minutes (or until it reduces to about 1 cup) as mixture thickens and reduces slowly. Don't burn it! Remove from heat and stir in coconut oil, vanilla, and sea salt. Let cool to room temperature. Stir it as it cools. The caramel thickens as it cools, and the oil will try to separate. Store in a glass jar in fridge for up to two weeks. Sauce will lighten in color as it sits in fridge but caramel color will return when you reheat it.